So my cousin Pooja , confused, her name is pooja too. To avoid confusion we call her small pooja . 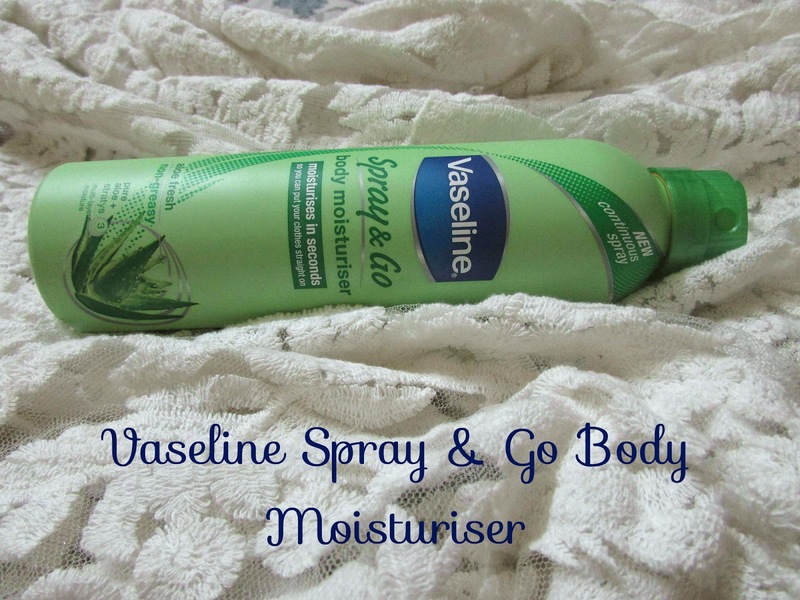 So I saw this Vaseline Spray & Go body moisturiser . The spray bottle is not messy at all , spray is very smooth and smell good. The formula is not greasy , rather it feels like you have a load of water onn after you spray it. I tried it on my trip , it was very convenient but not enough moisture for me. I have writes skin , super oily face and super dry body . Buy if you are in a sticky environment then then spray moisturiser is great for you. 1) Super easy to use. 2) Gives a cooling effect. 3) It gets absorbed in skin quickly after rubbing. 5) It gives a even spray, so you can spray it continuously . 6) Very thoughtful packaging, there is no cap, you have to revolve to open it. So no fear of loosing cap and random sprays. 7) Very travel friendly, dies not leak at all. 1) Too to watery . 2) Does not provide enough moisture for dry weather days . I tried it from my cousins variety case, just for the fun of spraying . Would I buy it , well I must it its so easy to use but still not enough moisture, plus I feel it's a bit costly, so I would just buy one and keep it for travel purposes. I mean they have got the concept right but it would be great if they work on product. Beautiful product!! I want to try it! I like the product! Great review! Great review, This product should be very good! I've just finished a can of this and I really liked it however I do agree with you about the amount of moisture it gives you! That sounds really great! And your Blog is beautiful!